We have all heard the old age adage that first impressions are lasting impressions. You may have read about dressing for success, speaking clearly, and practicing common interview questions. All of this is good advice. Employment agencies like us work with job candidates to find them the right opportunities and guide them through the process of job search. Here are a few out of the box interview tips that can also help your preparation and interview. We all get the butterflies, but learning to control those nerves is important for putting you in a frame of mind that allows you to be calm and clear in your thinking. Taking in deep breaths or even doing breathing exercises before an interview might seem dramatic, but it’s science! These deep breaths will send oxygen throughout your body and help lower your heart rate. You simply function better when you have a healthy dose of air flowing through your blood. Posture is a form of body language and it can reveal some pretty powerful things about you. Refrain from slouching or leaning forward and work on keeping your spine straight. What’s important to note here is that maintaining good posture not only conveys confidence and poise, but it can also communicate messages about character. Good character and resolve are desired qualities in a job candidate. Also, better posture — like keeping your back straight and shoulders back—actually helps you breathe better, which consequently makes you more energetic and more confident. Many people might walk into a job interview without a clear answer or idea of why they want that particular job. This is not only a possible interview question, but an answer that will help you better define your goals and objectives. This informs your answers, but it will give your a sense of purpose and thus guide your actions, while making it less likely that you stutter or ramble incoherently when responding to questions. Another way to inform your actions in the interview is by taking some time to research the company or business ahead of time. This will provide some information about the vibe and culture of the company that you can appeal to in the interview. Being informed about company history and specific projects will show that you are knowledgeable and prepared. As a local employment agency we understand the competition and stress of looking for work. We’re here to make the job easier! 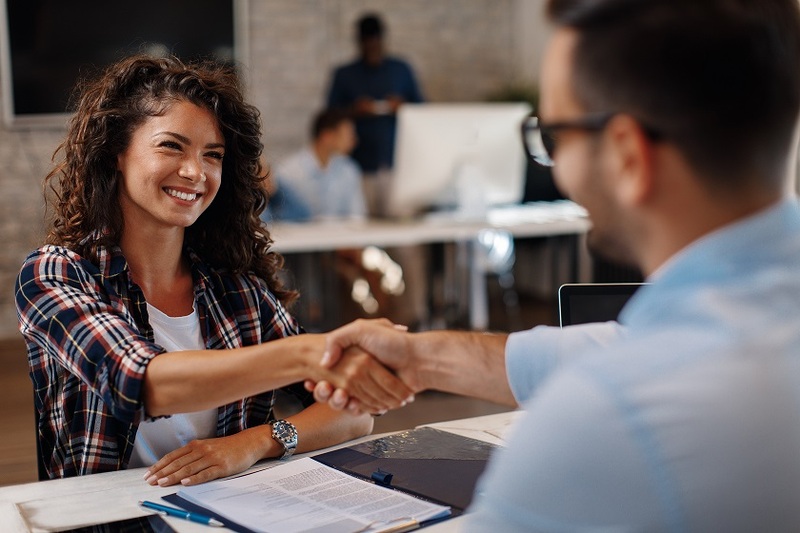 The Job Connection will help you find the right doors of opportunity and understand your own skill sets and where they might be valuable in the workplace. Contact us for help today!